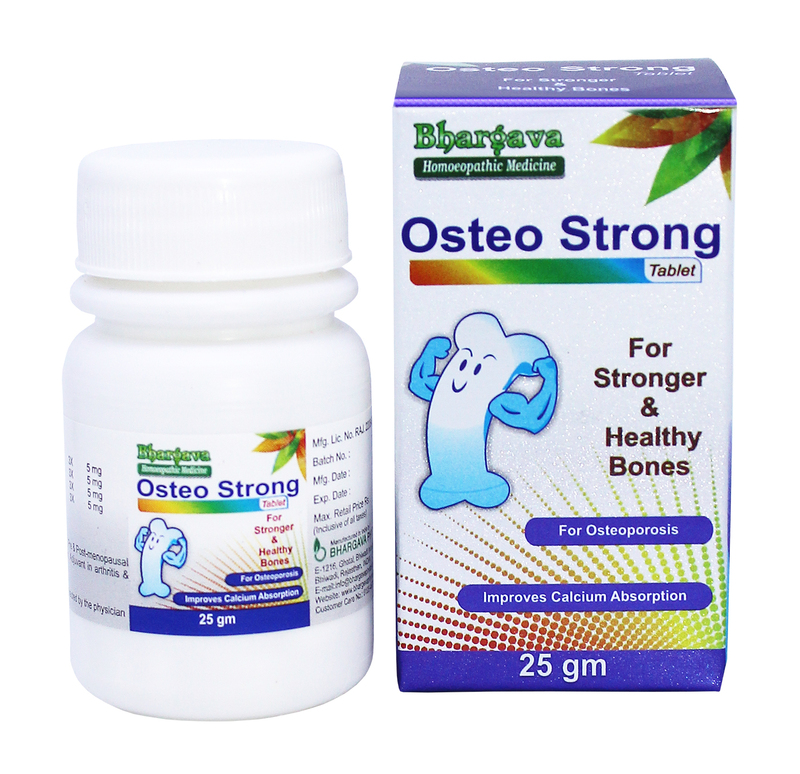 Osteo Strong Tablet is for pre and post menopausal period. Doctor Bhargava Osteo Strong Tablet is a result of techniques perfected over 100 years of practice. It is helpful in joints pain and backache, strengthens bone, reduce the risk of fracture of the bone and maintains tissue elasticity. Start taking Homeopathic medicine today and get best treatment.